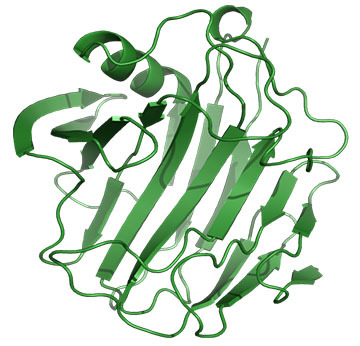 Cellulase refers to a group of enzymes which, acting together, hydrolyze cellulose. Cellulase can assist in hydrolyzing cellulose into short fiber, cellobiose, glucose, etc. Cellulase can be applied to the cellulose processing industries in order to improve productivity, product quality, cut down cost and innovate technology, etc. Therefore, cellulase can be used extensively in textile industry, food industry, oil industry and other fields demanding decomposing cellulose. ● In textile industry, cellulase is added to cellulose textile in the process, so as to make textile loose and soft, achieve perfect appearance and drape. Cellulase is used mainly as washing enzyme for jeans production instead of stone washing, without hypochlorous acid for fading. After washing with enzyme, the product appearance and quality is improved obviously. It is also used in anti-pilling finishing process. The dyeing rate can be enhanced when cellulase is applied in the dyeing and printing process. The fabric prickle of ramee can be eliminated after washing with cellulose. ● In feed industry, cellulase utilized as feed additive can increase feed digestibility, and help to improve nutrient digestibility and growth performance for animal. It obviously increases animal weight gain, milk and egg production as well as improving disease resistance and adaptive ability. ● In food industry, cellulase is also used extensively. Vegetal agriculture and sideline products are main material source in food industry. Cellulase is found in altering vegetal cell wall, such as softening, swelling and collapse, then changing the permeability of cell wall and increasing extraction ratio of cell content (protein, starch, fat, glucose, etc. ), improving food quality, simplifying food processing procedure. Cellulase is also applied to assist in peeling off soybeans, so as to enhance the quantity of soluble proteins extracted from soybeans. At the same time, it can be added to save time and enhance product yield in the starch processing. This enzyme preparation is also used to increase the yield of citrus juice and purify the juice. ●In oil industry, cellulase mainly used with β-mannase and amylase as breaking agent is much safer than chemical gel breaker in oil well pressing technology. ● In the pulp papermaking and chemical pulp treatment, cellulase can be added to improve the efficiency of beating and decrease energy and facilities cost. Pulp papermaking treated with cellulase can increases the yield of microfibre and moisture-retaining property as well as stretch resistance. It is found to reduce velveteen polymerization degree in chemical fiber pulp (e.g. cotton pulp) treated with cellulase. ● In fermentation industry, cellulase preparation can be used to improve quality and yield and accelerate production cycle in sauce production. This enzyme can increase the ratio of brewed alcohol of liquor and reduce wine mash viscosity in the alcohol industry. This product is biochemical substance. It should be kept in a clean, cool and dry place.Avoid high temperature, strong acid and strong alkaline. Avoid exposure to sunlight and water when transportation. More details, welcome to contact us.